At the heart of our new volume control is Burr-Brown’s flagship analog PGA2310. It offer a set of impressive specification such like 120dB dynamic rang and 0.0004% THD @ 1khz. Of course, specifications alone doesn’t make it worthy of the Burson brand. The PGA2310 possesses two main components; a set of resistor networks and an op-amp output stage. (An op-amp output stage? We’ll come to that.) The resistor network allows for an amazing 0.5db steps of fine control with channel matching within 0.05%. Compare that to conventional motorized volume controls which can only match channels to 7-10%. 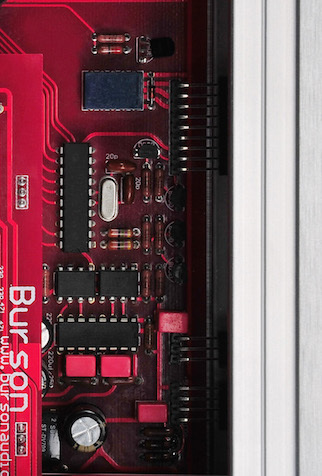 Burson’s secret sauce is setting the PGA2310’s op-amp output stage to unity gain so it essentially acts as a purely resistive volume control. This arrangement avoids any coloration the op-amp output stage may inject into the audio signal. The result is an extremely high-resolution 100-step volume control that preserves power, nuance and the many fine details that make music come alive.